Recorded at Oscillate Recordings, Transmission Studios, Stay Happy. Produced by Eliza Jaye, Anna McInerney, Dean Van Jones. All Tracks recorded at Oscillate Recordings by Dean Van Jones except for ‘Fire’ recorded at Transmission Studios by Jim Duncan. Mixed and mastered at Stay Happy by Ru Garvey. Produced by Eliza Jaye, Anna McInerney and Dean Van Jones. All songs written by Eliza Jaye. 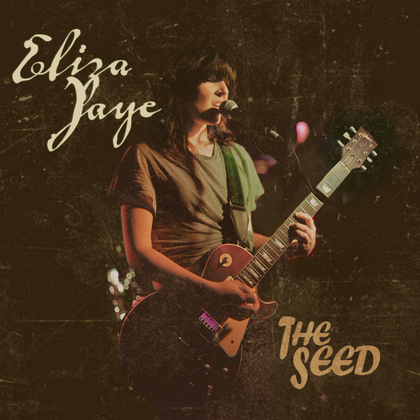 Guitar and vocals by Eliza Jaye. Strings and additional vocals by Anna McInerney. Bass & additional vocals by Dean Van Jones, except for ‘Fire’ by Victoria Smith. Drums by Martin Deering except for ‘Big Tin Heart’ & ‘Needs Must’ by Daz Roddick, ‘Fire’ by Ben Kidd. Image by Chris Dorney. Artwork and design by Ruth Jamieson and Eliza Jaye.